This is an tune that I have recorded a couple of other times. I first released it on my 2006 album A Step Along the Way, where it received a rather heavily produced, smooth jazz setting. Two years later I arranged it for a guitar/bass/drums power rock trio and released it on Just the Three of Me. This new, guitar, bass, drums and keys version is still more on the rock side, but restores some rhythmic interplay in the chorus from the first version that the trio version had to omit. I am looking for some feedback here. This is a tune I wrote back in 1979. In the early 80’s I regularly played it on gigs. This arrangement and recording is done in a different style than originally conceived (which was up-tempo swing in the manner of “So What”). Here it is set over a slower, rock-based feel with my now standard guitar, bass, keys and drums format. As often happens, I am not sure this “works” or not, or even if the tune itself is strong enough. I’d appreciate reactions and/or comments. This continues what seems to have turned into a mini-project of arrangements and recordings of classic fusion tunes. 500 Miles High appeared on the 1972 album “Light as a Feather” by Chick Corea and Return to Forever. Also on that landmark album was his classic “Spain”, which I covered on my album “Still Hungry“. With the arrangement I tried to develop a feel and setting that would be different from the original samba. This recording is again for guitar, bass, keys and drums. I played the guitar and bass parts and – other than the piano solo which I actually played – programmed the key and drum parts. 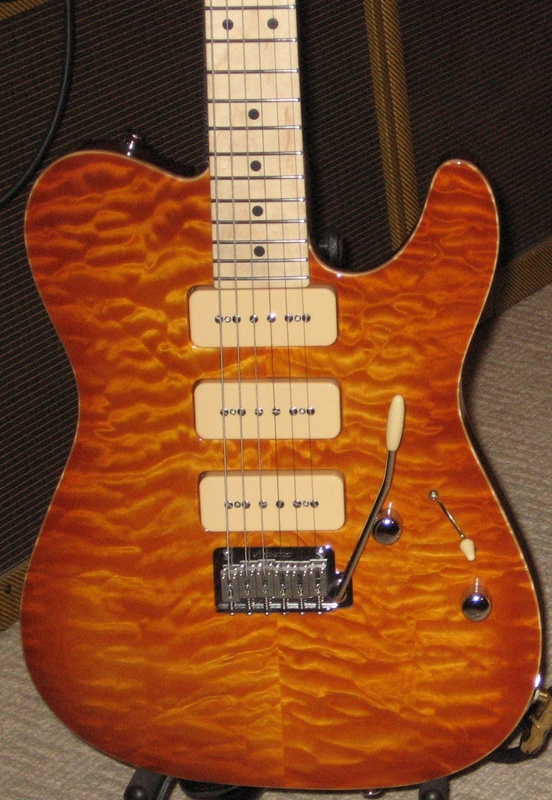 The guitar, by the way, is my new Tom Anderson Short-T. This is an original composition which I first wrote and recorded about five years ago. It appears in a smooth jazz setting on my album A Step Along the Way. For this new arrangement and recording the tune is stripped back to its fusion roots, set for guitar, bass, keys and drums. As usual for these arrangements, I played the guitar and bass parts and programmed the drum and keyboard parts. Perhaps also noteworthy is that this is the first recording made with my new Tom Anderson Short T. I actually completed this recording before shooting the video in the prior post. In 1960, John Coltrane released his landmark album “Giant Steps“. This album was very influential, adding several new elements to to the modern jazz vocabulary. “Naima” – one of the tracks from this album – is a ballad, and is named for his then wife, Juanita Naima Grubbs. It has proven to be one of Trane’s most enduring compositions, having been recorded countless times by jazz artists like Herbie Hancock and McCoy Tyner, younger generation fusion artists like Jaco Pastorius and John McLaughlin, and even rockers like Derek Trucks. Given the variety of settings it has seen, it seemed for me a good candidate to arrange in the manner and style I have been doing things lately — guitar, bass, piano, & drums quartet. While the setting is a fairly conventional one, Trane’s adventurous harmonies remain challenging both to player and listener.